The spate of Facebook scandals and recent rulings may be making Not for Profits leaders nervous or confused. Unsure of what to do, or what not to do? Social Media marketer, Richenda Vermeulen and lawyer, Leanne O’Donnell partner to bring some clarity. 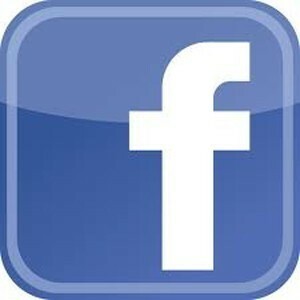 FEATURE: The spate of Facebook scandals and recent rulings may be making Not for Profits leaders nervous or confused. Unsure of what to do, or what not to do? Social Media marketer, Richenda Vermeulen and lawyer, Leanne O’Donnell partner to bring some clarity. The heated discussions began with mainstream media attention about recent rulings made by the Advertising Standards Board (Board) concerning the official Facebook Pages for Smirnoff and VB. These rulings echo comments made by Justice Finkelstein in ACCC v Allergy Pathways. The Court found Allergy Pathway had made misleading representations about the company’s allergy treatment on its website and social media accounts, including testimonials posted by clients on Allergy Pathway’s Facebook page. What exactly do these changes mean for Not for Profits? Community management is now mandatory and this is good news! Social media has always been about building relationships. Whether your Facebook Page is considered advertising or not, good social media has always been about community accountability. When you build a community, some will make cruel, inappropriate or misguided comments. Experienced social media managers understand this and understand that the larger your community is, the more that needs to be moderated. You will need to moderate your Facebook page within a reasonable time. (The ACCC has suggested within 24 hours for large companies.) This means allocating this task to a staff member and giving them the authority to respond directly to the public. If you do not currently have someone in this role, approach someone in your customer service team, for example, who is used to responding to challenging questions or concerns. Community guidelines that help to set boundaries around appropriate and encouraged behaviour. Staff reference community guidelines during moderating or responding to feedback. Delete/report buttons to delete obscene comments. If comments are misguided, staff can offer insights and re-iterate community guidelines. If the community guidelines are breached thereafter, the community manager has grounds to delete the comment. Content directed at reoccurring comments or complaints. Some forward-thinking organisations use this approach to address barriers to donations. For example: creating content on accountability to address misperceptions over administration and overhead. Don’t wait until you have an “official statement” to respond to criticism. Give your social media team the authority to respond immediately and honestly at the same time that you are processing the situation internally. Say sorry if you have done something to upset your community. Respond directly to the community member, and align your response as the situation unfolds (if the complaint spirals, draft a public post). Ensure all your communication is personal, authentic and honest. Speak as if you are talking to someone face to face rather than drafting a public relations statement. Tell your story when a situation spirals and you feel you have been misrepresented, create further content that explains your story. You can do this through a blog post, video or article on your website. It is vital that your organisation is prepared to answer the tough questions. If you are unprepared to step in to the social media dialogue, do not be afraid to ask for help. Seek social media mentoring or guidance from an experienced social media manager or Not for Profit organisation forging ahead. Leanne O’Donnell, Senior Associate at Herbert Geer Lawyers is on twitter at: @MsLods and email lo’donnell@herbertgeer.com.au. I would like to talk with someone about this…it is such a minefield out there…and I need to speak to one person and see how to proceed. I’ve just read the above article with interest and a small degree of alarm. It seems to suggest that there is now a legal obligation on all businesses to proactively moderate user comments on social media platforms. The Advertising Standards Bureau is not legal authority like a court is. It is a collection of people who have been tasked with responding to complaints about advertising content and who look to the Australian Association of National Advertisers’ Code of Ethics and community standards (not the law!) in their decision making. In fact, the relevant laws in this area require the companies who host user generated comments (i.e. not businesses using these platforms for marketing) to respond to a notice that a specific comment is illegal or offends their terms of service. This is what is referred to as the’ notice and take down’ regime, and this is the global standard for social networking services globally. The ASB ruling ignores that multiple tools already exist to manage abuse on social networks. I’m not disputing that it is good business practice to keep an eye on the conversations that you are starting on these platforms and use the administrative tools that are given to businesses who want to create a branded presence on these sites. But requiring all businesses, big, small and not for profit, to all moderate comments consistently is taking a good practice to a burdensome and stifling extreme. Businesses should be empowered to make case by case decisions on how to manage their social media presences based on their internal brand guidelines, appetite for risk and more broadly by what is appropriate for their business and community needs.